Should you tan yourself or go to the salon? Wouldn’t we all love to have a beautiful sun-kissed glow all year long? Even in the cold and gloomy winter months? Faux-tanning products are the answer to this dilemma, and are a lot safer than sitting outside, soaking up the sun with little or no protection from harmful UV rays. But which method of self-tanning is best? Here are the pros and cons of salon spray tans and at home tanning kits so you can decide which method is best for you. Who gets sunburnt the most? Easy: you don’t have to put in any effort, just stand there and be sprayed. Quick: it only takes a minute or two, and then you wait for it to dry. No risk of skin cancer. Skin is not sun damaged, and will not show signs of aging. 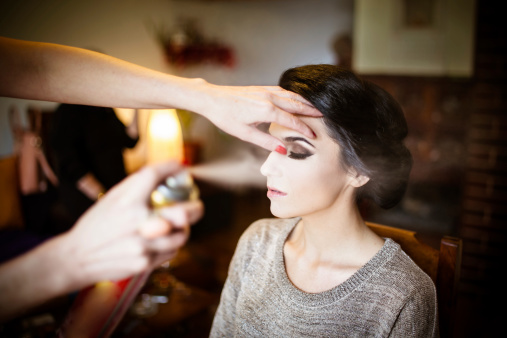 Whether it is in a booth, or done by a beautician, you will be coated evenly. A quality spray tan will look natural. No harmful chemicals: the main ingredient in fake tan (Dihydroxyacetone, or DHA) is a simple sugar compound. Some salons provide protective gear to prevent inhaling the tanning liquid. A beautician at the salon can get the colour that is just right for you. Loads of salons have popped up since solariums were outlawed in most states. Results are short term: the colour will come off with the skin cells that we shed. Ingredients: while many tanning agents contain nothing more than a simple sugar compound, some do contain more harmful ingredients. 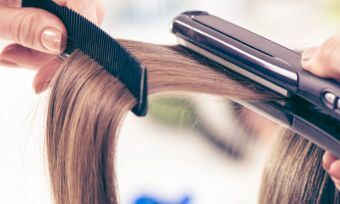 Can be more costly, ranging from $20 to $50 and sometimes more if you go to a really high-end salon. Fake tan is not so good for you if inhaled, so hold your breath while you’re being sprayed. Does not protect from UV rays, so you still need to protect your skin from the sun. More cost effective option: you can get a couple of tans from a bottle of self-tanning cream, and it is cheaper than going to the salon. No risk of inhaling the mist of tanning liquid. Used in the comfort of your own home. Again, require no sun exposure, reducing the risk of cancer and skin ageing. A quality at-home tanner will not stain clothes (look for the ingredient DHA: Dihydroxyacetone). 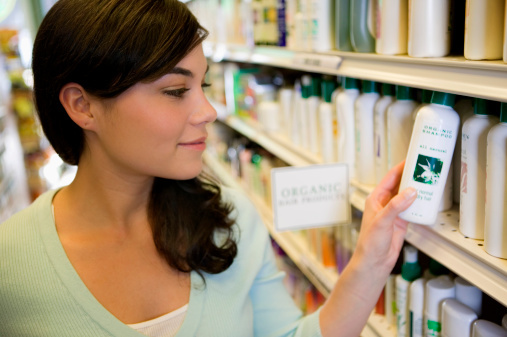 Some products on the market contain moisturiser in the formula to prevent skin from drying. A few products also include SPF to protect you from the sun when you’re out and about. Colour can still be customised to your skin tone, with most brands offering a variety of tan shades. Gradual tanning creams and moisturisers can be great for a consistent fake tan. At-home tanning lotions come in gels, mousses, creams, moisturisers, oils, and sprays There are a few airbrushes on the market that are made for the home. Not every product on the market is a good product – it is best to do your research before you buy. It may take a few practices to get it right. All tanning products will give off a bit of a funky smell as the formula reacts with your skin. Some products that are sold as tanners are technically bronzers – which are a whole different product. These tend to be a heavier, darker formula, and are almost guaranteed to stain clothes. Not all tanners will contain SPF, so you will still need to apply sunscreen to protect your skin from UV rays. 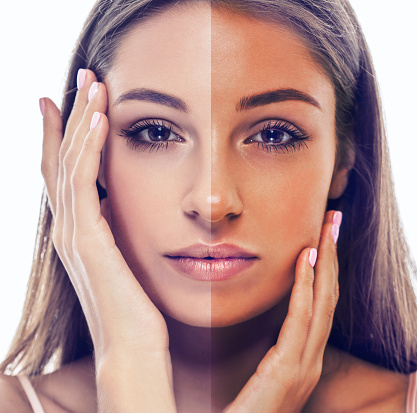 DIY disasters will happen from time to time, so it is best to pick up some self tanner remover with your tanning lotion. You may need to try a few different tanners to find the perfect one for you.